Thunder, Thunder, Thundercat… is coming to Liverpool, Getintothis’ Vicky Pea knows a thing or two about what’s in store. The bass playing maestro and serial collaborator to the stars known as Thundercat has announced a 2017 date at the Invisible Wind Factory. After an acclaimed year which included picking up a Grammy Award for his work on Kendrick Lamar’s track These Walls from To Pimp a Butterfly plus appearances on 2016’s Untitled Unmastered, the ex Suicidal Tendencies member will be bringing his unmistakable brand of laid back yet cosmically complex jazz funk fusion to our shores for the first time in two years. 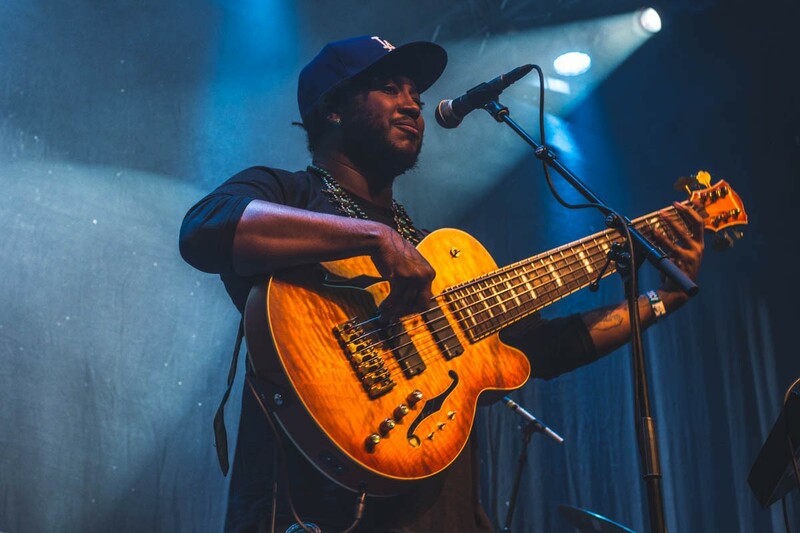 Getintothis however was lucky enough to catch Thundercat in action more recently at 2016’s Way Out West Festival where his late night set in Gothenburg Studios “bathed us in its luxuriant velvety softness and left us with a big grin on our faces and an extra spring in our step”. If that experience (which earned a place on our best acts of the festival list) is in any way a precursor to what March holds, then the IWF should be prepared to melt at the hands of a true musical talent. Thundercat plays the Invisible Wind Factory courtesy of Bam!Bam!Bam on March 24 2017. Tickets go on sale December 9 2016 at 9am. Previous ArticleSpotify launches Spotify Singles – a lifeline for the UK Singles Chart?